Have you ever seen a flat surface that has enough standing water that kids could wade in it? This is a condition commonly known as ponding water. 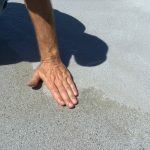 When water stays on a flat roof for 48 hours or even longer, ponding water occurs. Also called “standing” or “pooling” water, ponding water can cause severe damage not only to a roof, but it can also compromise a building and affect its inhabitants. Although ponding water can be a serious problem for any kind of roofing system, it’s particularly a threat to flat roofs. Here are a few important facts about the harmful effects of ponding water that perhaps you didn’t know. Ponding water damages the surface of a roof, besides the roofing membrane. 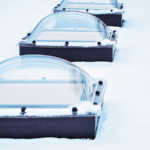 Consider how ice can form on a flat roof and constantly moves when temperatures change. 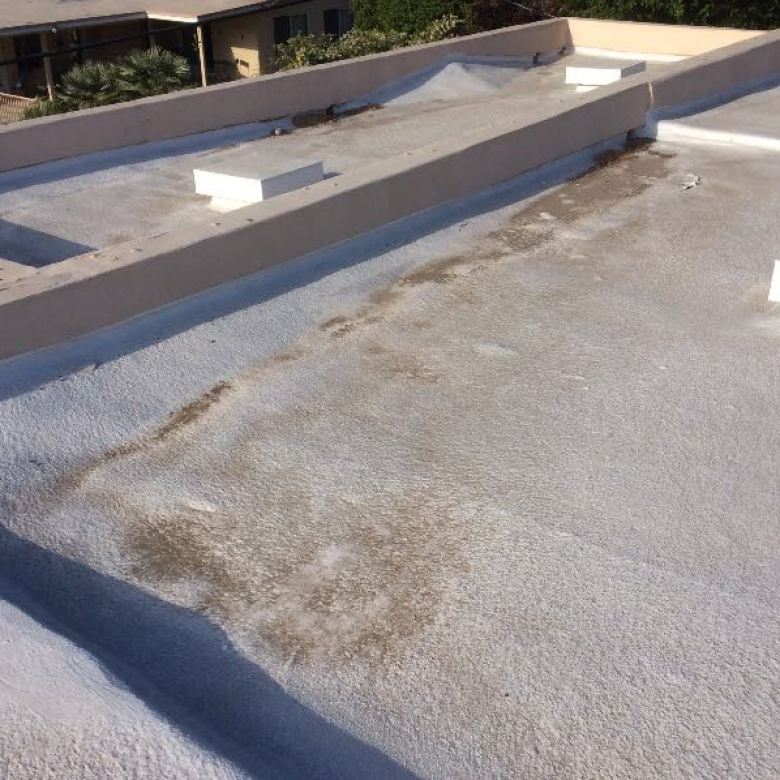 This continual movement can scrub against the membrane of a roof, causing significant damage. Additionally, harsh UV sunrays can reduce the lifespan of a roofing membrane. This can cause cracking and mineral loss. In some types of roofing membranes, tensile splitting can occur. This makes it hard to do repairs and can cause water to enter a building when leaks happen. Because ponding water can add a substantial amount of weight on a roof deck, it can result in deck structure deformation or warping. This can weaken a deck’s structural integrity. If you don’t take care of this problem, water weight on a roof can cause a roof to collapse. This could result in severe injuries for workers inside your building and could even lead to fatalities. Water that stands on a roof can cause algae and vegetation to grow. This can result in the roof membrane becoming damaged. Furthermore, algae and vegetation growth can easily clog drains as well as create more ponding problems. In order to grow, mold which is a fungus, needs moisture. Thus, when water remains on a roof, it provides an inviting place for fungus to develop. 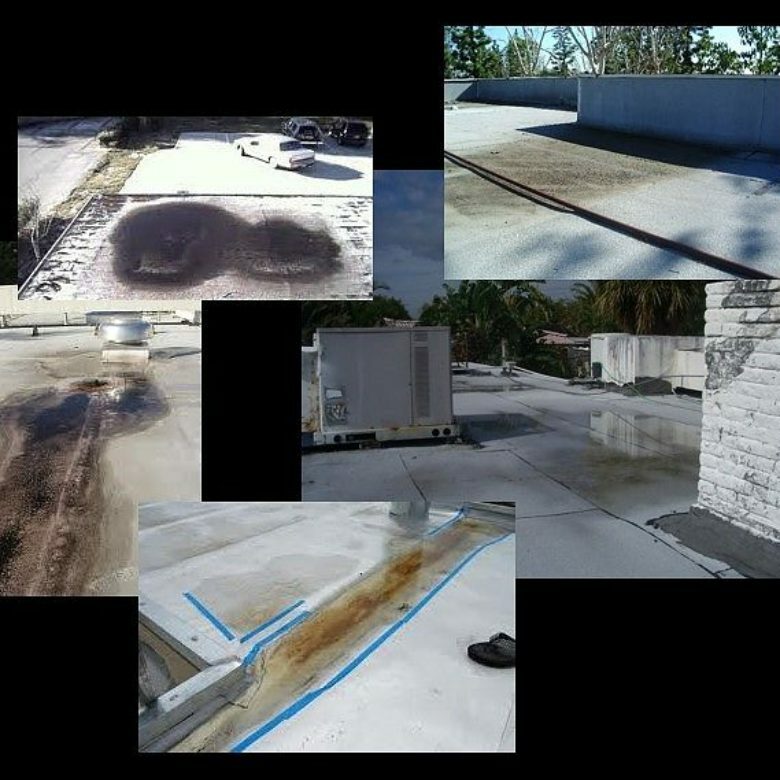 When mold grows on a roof, discoloration can result. Moreover, mold can damage roofing shingles. Ignoring the problem can lead to the spread of fungus throughout the structure of a building. This can affect your HVAC system, along with rest of your building, such as damaging carpets, furniture and clothing. Even small amounts of moisture that gets underneath a roofing membrane that can reduce your roof insulation’s thermal resistance. You need to be aware of when water is an issue, even if your roof is in good condition, so you can do something about the problem. Undetected leaks caused by ponding water can cause rot in wood decks, while producing rust in steel roofs. Ponding water isn’t always the result of rainwater than remains on a roof after 48 hours. It can also be caused by compressed insulation or by installation that’s been crushed by HVAC equipment. In some cases, it’s due to heavy roofing materials that are used while installing a roof. Standing water can occur at almost any time of the year and develop just about anywhere. Once ponding water stays on your roof, it can lead to continual repairs and roof replacements. Sometimes, ponding water is caused by poor roof installation, such as using inadequate caulking or weak membranes. In other cases, the roof flashing hasn’t been installed properly. Roof maintenance is important. This entails examining your roof following a storm for drainage obstruction caused by debris. You’ll also need to maintain your gutters and downspouts by cleaning out leaves, sticks, organic materials and other debris. Roof design is a critical factor for preventing ponding water. According to the ARMA (Asphalt Roofing Manufacturers Association), a roof design must have at slope that’s at least ¼” per foot to ensure that it drains correctly. This is for the entire lifespan of a building. At RoofSlope we have an effective product that fills in low spots on flat roofs, giving them a slope that meets this requirement. 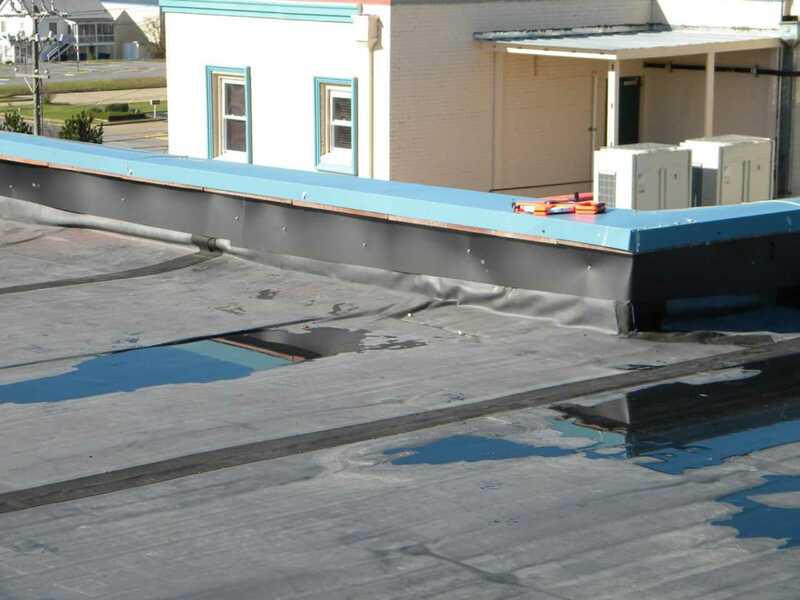 Please contact us and learn more about how we can help you avoid ponding water on your flat commercial roof.